FSL underwent a Fidelity Security Health Insurance Company review. 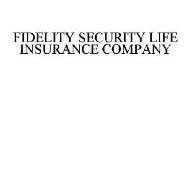 It was determined that FSL actually stands for Fidelity Security Life Insurance Company, which is located in Kansas City, MO. Although this is by name, a life insurer, FSL offers several health insurance packages. Health insurance rates are available at any time with only your zip code entered here. An insurance company that specializes in niche marketing determines the strength in what they have to offer. As it turns out, this company’s niche is useful to anyone, which is why they market to individuals and commercial businesses. Although the company’s niche is life, it also features other products, health included. The company started out with just one product line and slowly added additional lines to accommodate more diversity and demand. Consequently, the company also generated a new network of reinsurance companies and distributors to service an even broader market of businesses. Among the different divisions, Fidelity Security has an employer supported, self-insured marketing program. Annuities and mutual funds are investment products that can produce disability or retirement income. Annuities may have a mutual fund component and is considered a variable annuity. Death and dismemberment, travel coverage and a three-way plan are available under accident policies. Life plans include whole, term and juvenile coverage in addition to mortgage protection for hardships. They also offer Lasik surgery options for vision correction. There are others from which to choose. For groups Fidelity has self-funded excess loss coverage for overflow medical expenses in $1,000,000, $2,000,000, & $5,000,000 increments. This coverage protects businesses from financial devastation. A Gap coverage option is also available for groups and individuals. This type of protection assists employees with major medical out of pocket expenses. This option is exclusively for groups. Other options even include family lodging, and in case there is something else that is not included, there is a miscellaneous option for in patient benefits. HIPAA is a law enacted in 1996 to protect health insurance subscribers with relation to the right to transport their healthcare coverage between jobs. It also protects the privacy of patient’s medical records. This law is formally called the Health Insurance Portability and Accountability Act. One of the biggest advantages to implementing this law is it allows healthcare policyholders to transfer coverage with pre-existing conditions. The new insurer cannot refuse coverage, for let’s say a pre-existing cardiac condition. There are a few exceptions to this rule such as if you were diagnosed and saw a doctor at least six months prior to attempting to obtain new coverage. Because Fidelity Security provides service directly to the public, they open themselves up to individual online scrutiny. Consequently, this company has its fair share of online scrutiny. A popular website that provides a forum for irate customers has a couple of Fidelity Security entries. Some believe that this company did not live up to their end of the initial agreement. This reviewer took the opportunity to accuse FSL of breach of contract. Other case involves real lawsuits against the company. A good thing about having these types of reviews is that you get a sense of the experiences others are having with the company before you decide to use their services. When a site has member testimonials though, it offers a sense of balance if there is a lot of negative online feedback. To get health insurance rates, enter your zip code in the search tool option to get started. FIDELITY SECURITY LIFE HAS NOT APPROVED OR DENIED MY CLAIM AFTER 6 MONTHS LEAVING ME FINANCIALLY CRIPPLED AND UNABLE TO GET PROPER TREATMENT AND COVER OVERHEAD IN MY TIME OF NEED. I have a disability policy and it has been 6 months (after the 3 month waiting period) to receive an approval or denial on my claim. The Claims Analyst, Ms. Robbie Wait, only ordered “some” of my medical records, insisted I could not provide the others in order to expedite and then said not enough evidence. She then lied about how the providers, that she never ordered these from, were unresponsive. I got proof from these providers that she did not order these until 120 days from the time I submitted my claim and in some cases not at all. I reported Fidelity to the Office of Insurance Regulators in my state and Fidelity lied to this government office, stating all my records were ordered 15 days after I submitted my claim. Per Ms. Wait as well as another person more senior to her, they both believe that 6 months to get an approval or denial is OK, typical and standard – in other words, there is nothing wrong with leaving me without any income for 6 months (9 months when you include the waiting time). As well, my last notice to provide an update explaining why they have taken longer than 30 days (which is per statute) was 4 months ago. Both contacts at this company have been rude, abrasive, condescending to me when I did not deserve it and was trying to get information on what is going on. In contrast, I also had a short term policy with AFLAC, and AFLAC is AWESOME! Their claims handling process is extremely fast and everyone I have spoken to at that company has been very nice, having a caring attitude and have been helpful. I get that AFLAC is an honest and good company and my perception of Fidelity Security Life is that they are dishonest and up to no good. I could be wrong, but this is my perception after dealing with both companies separately. I believe the major difference between the two is the employee attitude towards their clients – AFLAC is there for you when you really need it and Fidelity HAS NOT BEEN THERE FOR ME.